Luxury floral design from your friendly, local flower shop. Field Day Flowers was born out of an intense desire to create floral designs with heart and personality. Our floral style exudes an elegant wildness that gives our arrangements character and charm. The newly established shop in Abergavenny creates a base for us to work from, a showroom if you like, where we can demonstrate our style and enthusiasm for beautiful blooms. Of course it also gives us a place to meet and chat with customers, something we like to do almost as much as arranging flowers! We consider it an absolute honour to be chosen to create the florals for your wedding day. 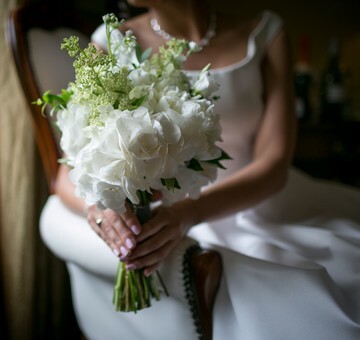 Listening to your ideas and really understanding your vision for this special day is the first step to delivering first-class wedding flowers. We will follow that up with creativity in abundance and exceptional attention to detail to ensure you are delighted with every aspect of your wedding flowers. 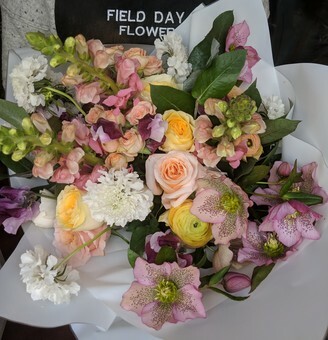 When you order a Field Day Flowers bouquet you will always get the freshest blooms arranged in an abundant and luxurious style. We travel to the markets to hand-pick all of our flowers which ensures we always stock the absolute best quality. Same day delivery available in the Abergavenny/Monmouthshire area. 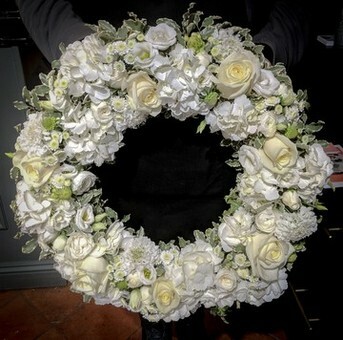 Choosing the right floral tribute is truly one of the last acts of love and we at Field Day Flowers consider it a great privilege to be able to create these memorials and offer comfort at times of heartache. We work together with local funeral directors to ensure your loved one's memorial is of the highest quality and pride ourselves on our professional and sympathetic approach in these difficult times.